Come with large, medium and small, 3 different sizes, large size for 2 pieces, medium size for 1 piece, small size for 1 piece, multiple size and sufficient quantity enough for various requirement. 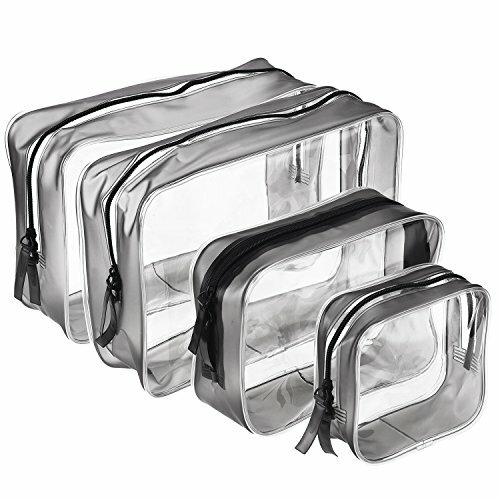 The clear bag keeps everything is organized and clear at a glance, easily find what you are looking for without wasting time, good for use for home and travel. They are suitable for storage of wet items such as swimsuits and towels; Also great for storage your makeup toiletry items.